In a town like West Linn, where the rainfall is well above the national average, homeowners can expect to experience flooding frequently throughout the year, and that is why people trust in the water damage West Linn team with 911 Restoration Portland. Whether it occurs due to a storm or from a faulty ice machine, the results can still warrant professional attention. With over 35 years of experience in the field, the West Linn water extraction crew can remediate any water damage circumstances. We have been equipped with the most advanced drying machinery. Our whole operation is licensed, bonded and insured, making this Portland based water damage company one that you can trust to get the job done right the first time around. The West Linn franchise has an IICRC certification that shows our commitment to our customers, proving that we are both capable and trustworthy. Many people do not now that the ice maker in your fridge can be a hazardous machine. If your refrigerator was not installed properly or the water supply line to the ice maker is defective, then one day you might come home to a flooded kitchen. Do not over-tighten the hose that connects to the valve. Leave ample space between the wall and the refrigerator. This will keep the hose from crimping and eventually tearing. Be aware of where the water shut off valve is located and inspect it every six months to make sure that it is working. If your property is already awash in flooding waters, then don’t wait another second to contact our water damage West Linn team with 911 Restoration Portland today! 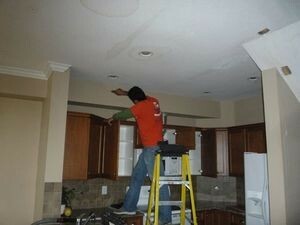 You don’t have to live in a water damage in your home. Letting water stand in your basement or soak into your carpet and walls can cause structural damage, as well as facilitate a mold infestation. In order to prevent all this damage, the West Linn agents are trained in how to dry your home thoroughly in a timely manner. 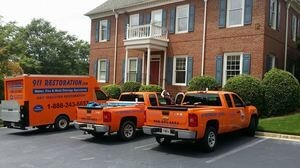 We are happy to give our customers free water damage estimates, enabling everyone to partake in our services. 911 Restoration Portland has the West Linn water damage team standing by and available 24/7/365, just waiting to restore beloved home. The West Linn water remediation staff makes sure to offer competitive price, on top of working with all major insurance companies. 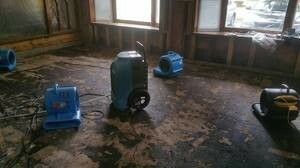 Do not let water damage ruin your day. Call branch owners Yoav and his water damage West Linn team with 911 Restoration Portland so we can begin to give you the fresh start you deserve today!